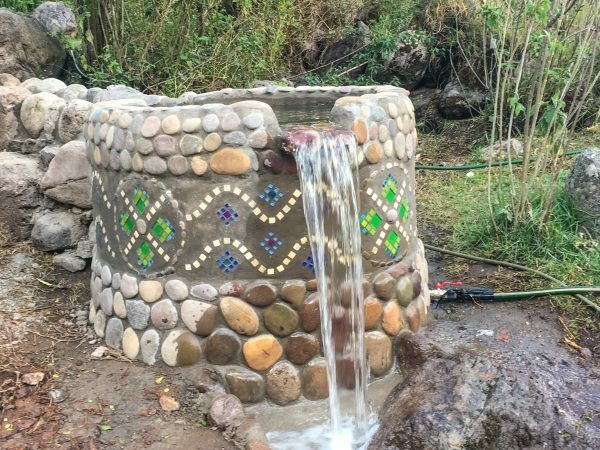 The hand tiled water tank in our organic vegetable garden. We have discovered that participating in an activity while you are here is far more effective in experiencing the AN energies than just walking around the land for a short time. We are very busy here and cannot always have visitors. When we are able to welcome visitors, we ask for a $20 per hour per person donation to support the Heart of AN. At this moment, we are not set up for volunteers. We only have a small piece of land and don’t have the facilities to house or feed volunteers. Yet, there are times when we really need help with urgent work projects, when we greatly welcome help for a day or two.